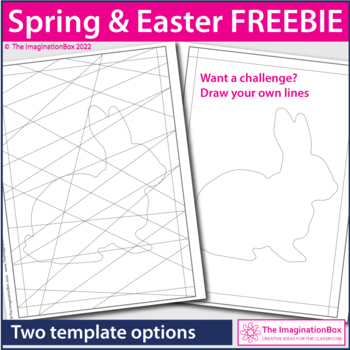 Have fun this Easter with these print and go 'hidden egg' and 'hidden rabbit' modern art free printable templates. 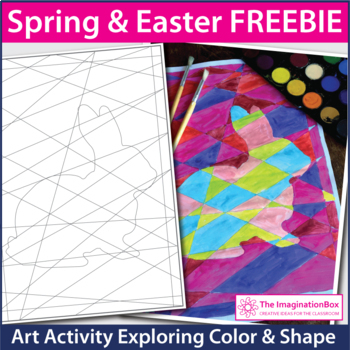 These geometric shape inspired worksheets are a challenging creative activity for kids. 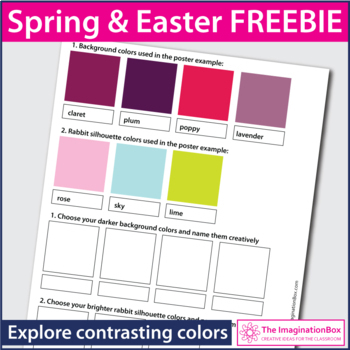 They can help young artists and designers to explore graphic design, pattern, shape and the impact of contrasting color palettes - warm, cool tones etc. Use felt tips, crayons, pastels, watercolours, collage - depending on time available, age, and level of ability. They make wonderful classroom displays and cards.